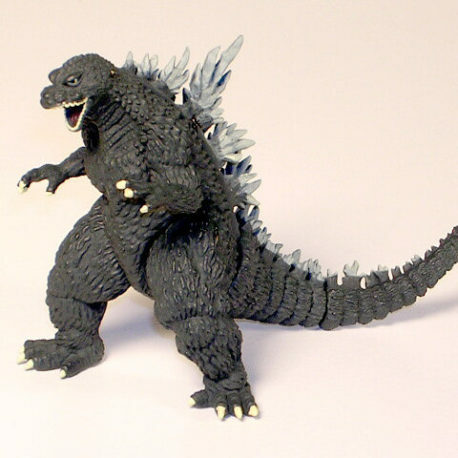 Godzilla 2002 (Godzilla Vs. MechaG) from the Godzilla Chronicles # 1 High Grade set. Each highly detailed vinyl mini figure stands approx. 2 inches tall. M1 also known as M Ichigo produces some of the finest collector vinyls available in Japan. They are known for their OUTSTANDING PAINT JOBS. The vinyl they use is top quality and thick. 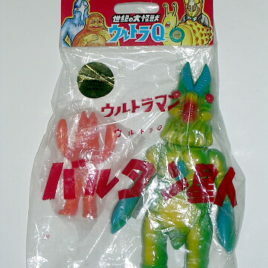 This is the hard vinyl Hyper Hobby Special PAINTED Baltan figure from M1 of Japan. 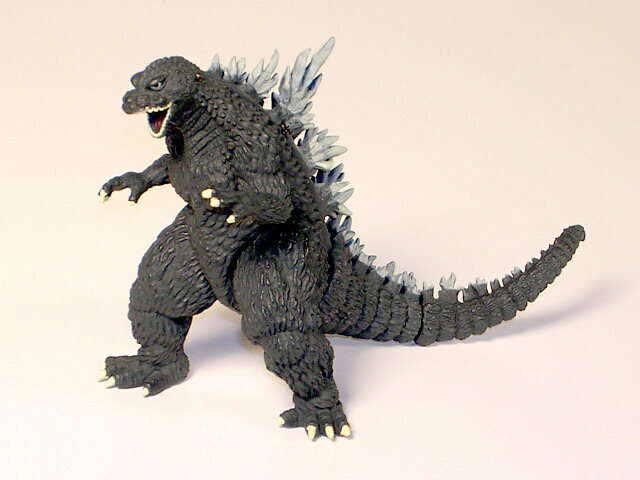 This figure is Articulated and stands approx. 8 inches tall. It comes with a mini Baltan that stands approx. 4 inches tall. This figure was only available through Hyper Hobby Magazine in Japan. People (in Japan) ordered tan unpainted version of his figure to paint and send back in to enter a Hyper Hobby Magazine contest. This PAINTED VERSION is the WINNING PAINT JOB! Comes with mini Balton Mint in bag with header. This is a wonderful Japanese Movie Program from the showing of Godzilla 2000. It has 26 color pages with many outstanding photographs of the movie and cast. If you love ORGA, you will love this program! Great shots of Godzilla and Orga locked in Combat! It contains Amazing action scenes from the movie as well information about the cast ( in Japanese of course). GREAT MONSTER BATTLE PHOTOS!